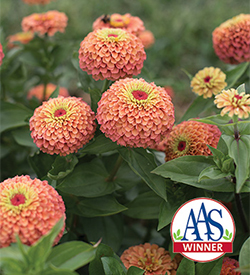 'Queen Lime Orange' zinnias pop with color, depth, and dimension. "...[A] true stand-alone among the butternuts — it is just sweeter and better tasting than anything else we've tried.…"
"Rob has always been avidly interested in what the very most progressive, most innovative direct-market growers are striving for…"
Albion, Maine : October 2, 2014 — Johnny's Selected Seeds warmly welcomes Dr. John Navazio, veteran plant breeder, agroecologist, author, and organic seed production specialist as manager of its plant breeding program. 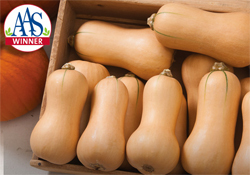 Dr. Navazio is a natural fit for Johnny's, renowned for its prodigious introduction of traditionally bred, award-winning new crop varieties to direct-market growers and avid home gardeners…. Burlington, Ontario, CANADA : August 2013 — All-America Selections (AAS) hosted their annual Summer Summit August 12–14 this year in Ontario, Canada. Rob L Johnston, Jr, Founder and Chairman of Johnny's Selected Seeds, was selected by the AAS Board of Directors to receive the 2013 Breeders Cup. 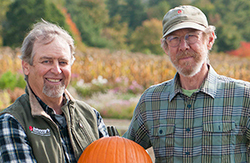 The AAS Breeders Cup Award recognizes someone who has had a significant impact in horticulture by breeding stand-out varieties. Fairfield, Maine: April 2013 — Salanova is the newest innovation in lettuce for the salad mix market. 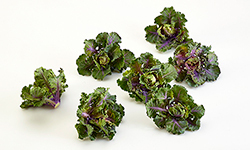 Taking over 20 years for breeders to develop, Salanova's unique core structure allows fully mature, compact heads to be easily cut into individual uniform leaves. Because the heads are allowed to reach full size, they produce fully-developed flavor, texture, and color compared to baby leaf. For the first time, this line is available from Johnny's Selected Seeds to U.S. and Canada small, direct-market growers.